The environmental imagination does not stop short at the edge of the woods. Nor should our understanding of it, as Lawrence Buell makes powerfully clear in his new book that aims to reshape the field of literature and environmental studies. Emphasizing the influence of the physical environment on individual and collective perception, his book thus provides the theoretical underpinnings for an ecocriticism now reaching full power, and does so in remarkably clear and concrete ways. 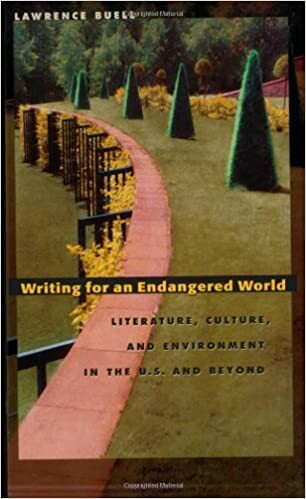 Writing for an Endangered World offers a conception of the physical environment--whether built or natural--as simultaneously found and constructed, and treats imaginative representations of it as acts of both discovery and invention. A number of the chapters develop this idea through parallel studies of figures identified with either "natural" or urban settings: John Muir and Jane Addams; Aldo Leopold and William Faulkner; Robinson Jeffers and Theodore Dreiser; Wendell Berry and Gwendolyn Brooks. Focusing on nineteenth- and twentieth-century writers, but ranging freely across national borders, his book reimagines city and country as a single complex landscape.